Gaius Appuleius Diocles (104-146) was a Roman charioteer and the highest paid athlete ever. He won an impressive 1,462 out of the 4,257 races and his winnings totaled the equivalent of $15 billion. The Hittite Empire, 1600 BC - 1200 BC, dominated Mesopotamia and prevented Egyptian invasions by moving the chariot axels from the back of the vehicle to the middle of the vehicle. Sounding like every car commercial, the new chariots owned the road with improved maneuverability and increased weight capacity, accommodating more weapons and an additional soldier. By 500 AD, chariot racing fans became two powerful social, political, and religious factions. The Blues represented the ruling classes and religious orthodoxy. The Greens were the party of the people and took a heretical position on Christ's divinity. In pre-football hooligan behavior, riots and corresponding deaths became common during the races. However, Emperor Justinian was able to unify the two parties in hatred for him. 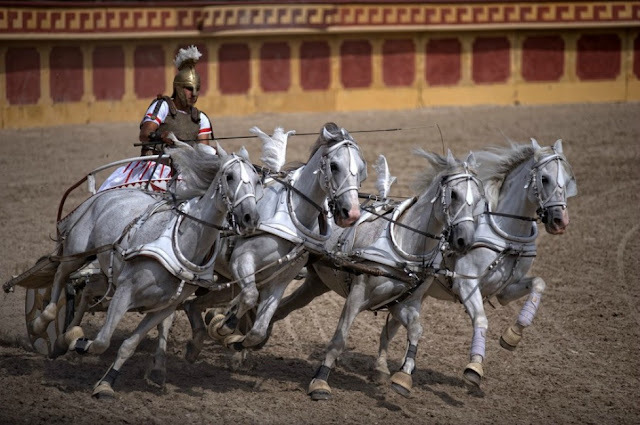 During a January 532 AD race, the crowd, usually divided in cheering for their chariot team, started a unified chant of "Nika", meaning victory. It was evident that victory consisted of the removal of the Emperor. After five days of riots, Justinian dispatched his troops to the Hippodrome, a stadium with a capacity of about 100,000. 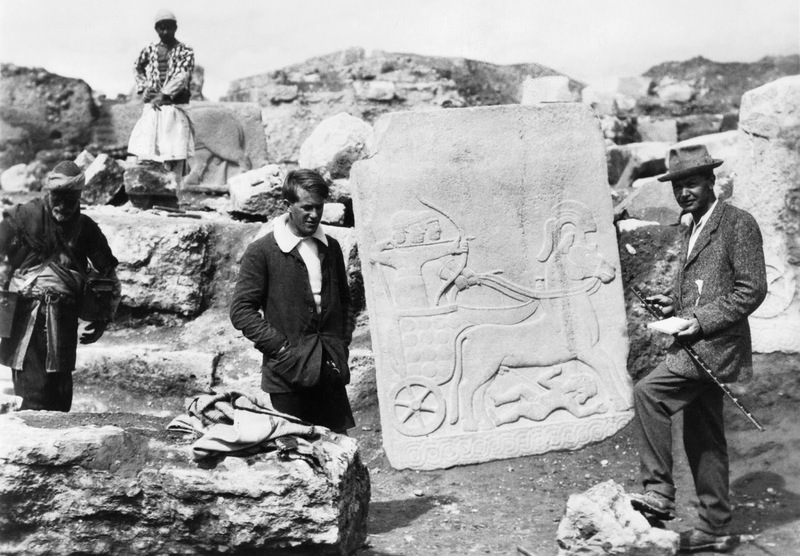 The Nika riots ended with 30,000 deaths. Can we all agree not to tell Donald Trump this story, or attending the Superbowl may have additional, military level, risk. 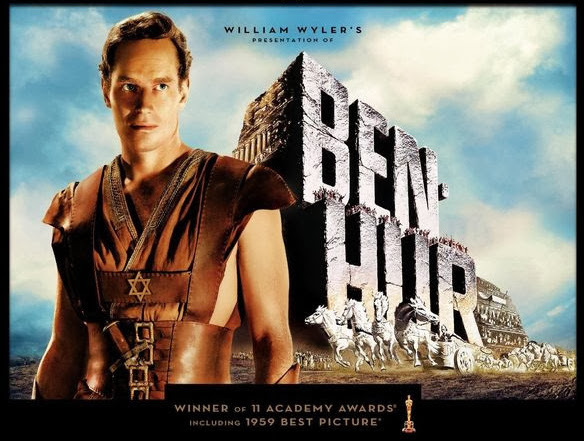 The chariot race in William Wyler's 1959 Ben-Hur is rumored to contain footage of a stuntman's death but what actually happened is more remarkable. 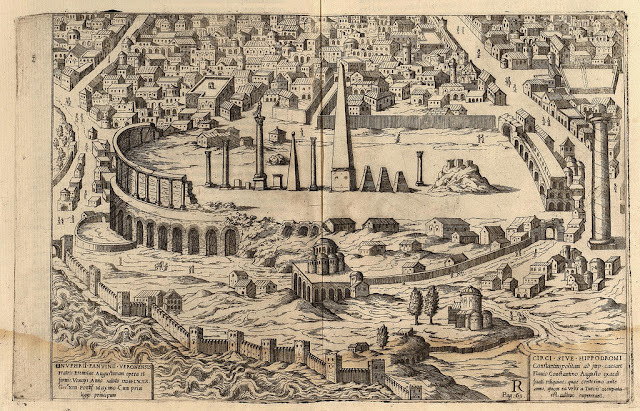 The chariot arena occupied 18 acres and was covered by 40,000 tons of white sand was imported from Mexico. An identical set was built for practice and to lay out camera shots. 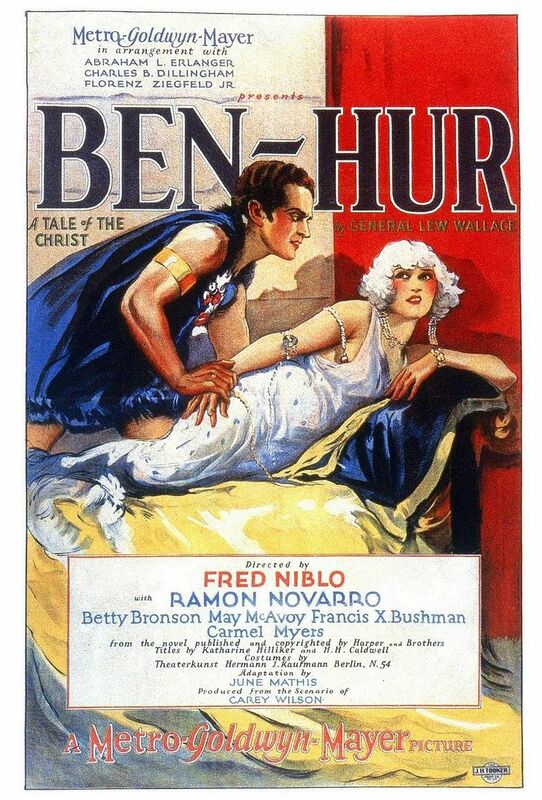 Stunt coordinator Yakima Canutt was responsible for coordinating the scene. Charlton Heston had driven chariots in The Ten Commandments but was concerned about driving with other teams. 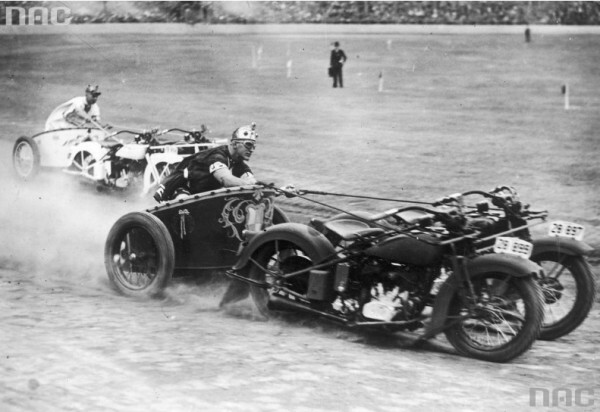 Canutt assured him, "You just stay in the chariot; I guarantee you'll win the damn race." Canutt's son Joe was the stuntman for Heston. 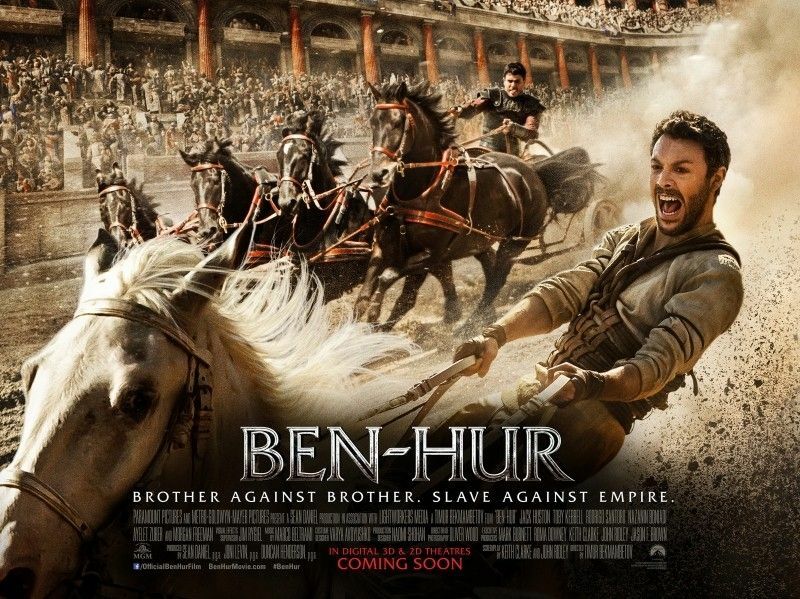 During the scene where Ben-hur's chariot jumps a chariot wreck on the track, Joe miscalculated the speed. 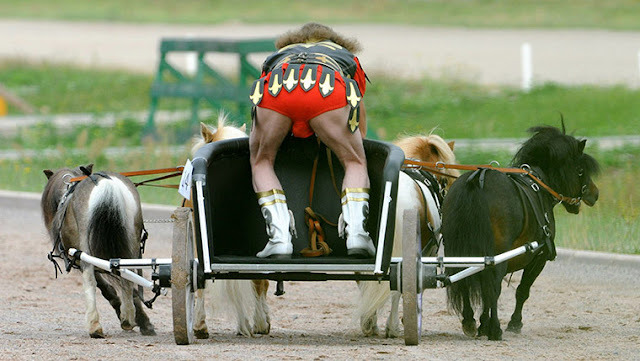 He was accidentally bounced out of the chariot and flipped forward between the horses. 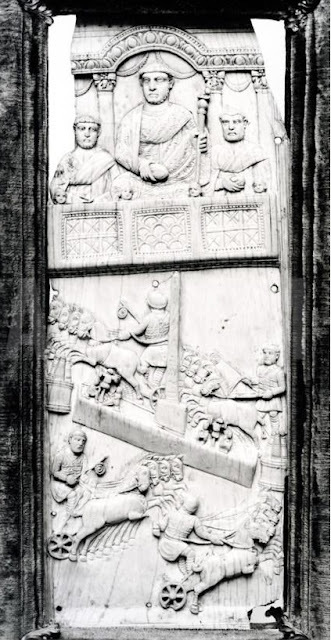 He instinctively grabbed the cross-bar on the chariot and was dragged for several feet. The extent of his injuries were four stitches on his chin. The cut was kept in the movie and the director called it the most spectacular stunt he had ever seen.